Rangers boss Steven Gerrard admits the likely return of Ryan Jack for Thursday's trip to NK Maribor comes at the perfect time. The Gers head to Slovenia aiming to protect a 3-1 first-leg advantage and book their place in the play-off rounds of the Europa League. 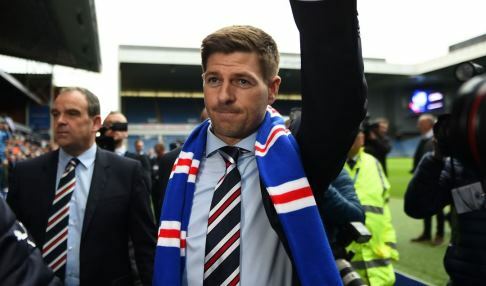 Gerrard's arrival has seen a number of new faces sign on at Ibrox, with a fresh influx of youth into the squad resulting in a strong run of results, with Rangers unbeaten in their seven competitive fixtures so far this term. That run has included European aggregate wins over both Macedonian side Shkupi and Croatian outfit Osijek. You want to put people in your team that are going to help you get a positive result. Experience will be key against Maribor, however, and Jack looks set to be back available after missing Sunday's win over St Mirren with concussion. The 26-year-old will add steel to the midfield on what is likely to be a cagey evening at the Stadion Ljudski vrt. When quizzed on his fitness, Gerrard was upbeat about the one-cap Scottish international's chances of playing in Slovenia and admits he could have a significant impact. He told Rangers TV: "It could be a huge boost because I think he is in great form and I think he has played a very important role for us so far. "I think when you are going away from home and you have a slight advantage you want to put people in your team that are going to help you get a positive result and Ryan comes into that bracket." Rangers are 12/5 to get a result on Thursday, with the draw 11/5 and Maribor 6/5. The Gers can be backed at 66/1 to win the Scottish Premiership.